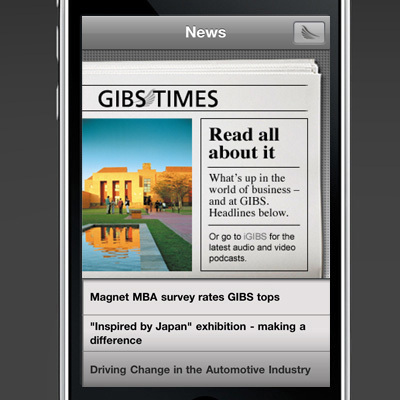 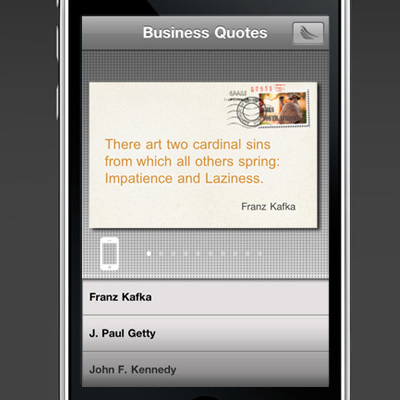 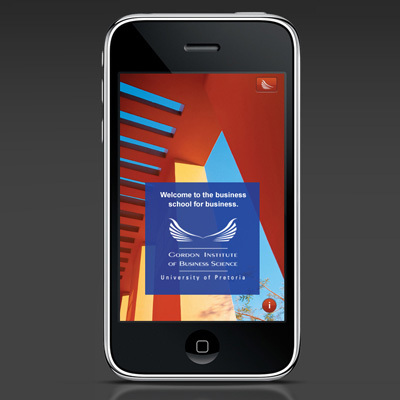 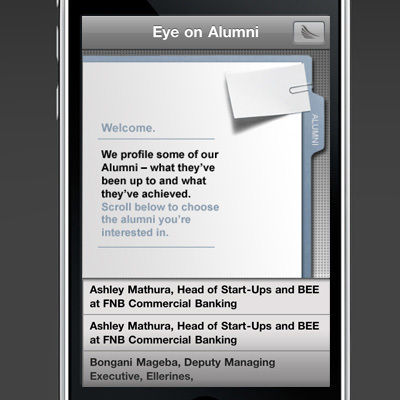 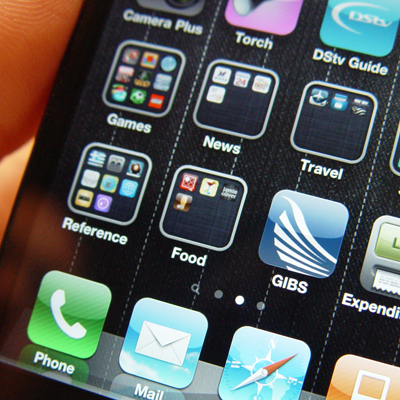 The Gordon Institute of Business Science, our client for over nine years, jumped at the chance to be the first business school in SA to develop an iPhone app. 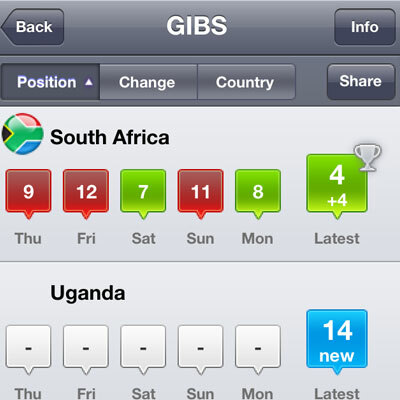 After many meetings and discussions, we developed the interface and design for the app, based on the objectives of what the market needed and what GIBS wanted to communicate to them. 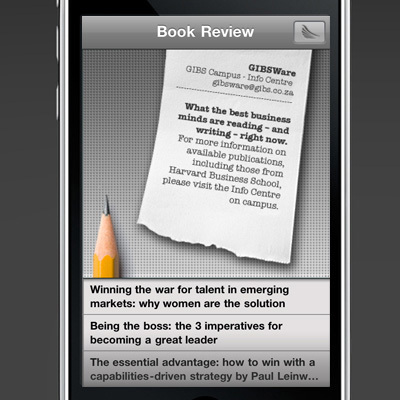 With quick reference to courses, forums, business books and the latest news and opinions from around the world, our aim was to design a user-friendly experience with a look & feel that stood out from other applications for business people. 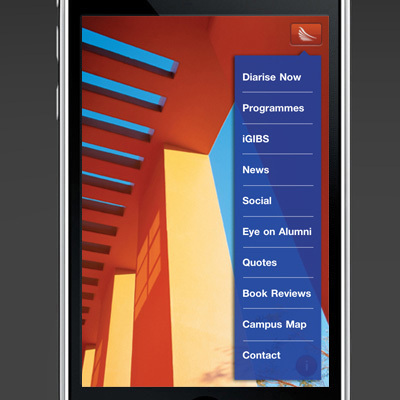 It was also a way to showcase the GIBS experience.